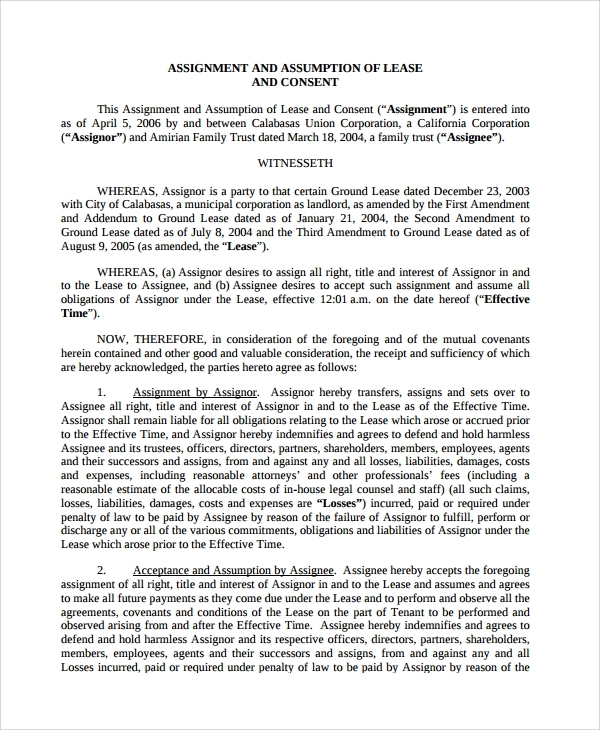 The assignment of lease template is one of the smartest template formats to let you form an agreement between the two parties, the lessee, and the lessor. The agreement of lease is formed and the time of commencement of the agreement and undertaking, and the whole tenure with date, the conditions of leasing, the particulars of both parties, all have to be included in a contract. This contract can be made without any legal advisor’s help or other external source but a nice template you get online for free. 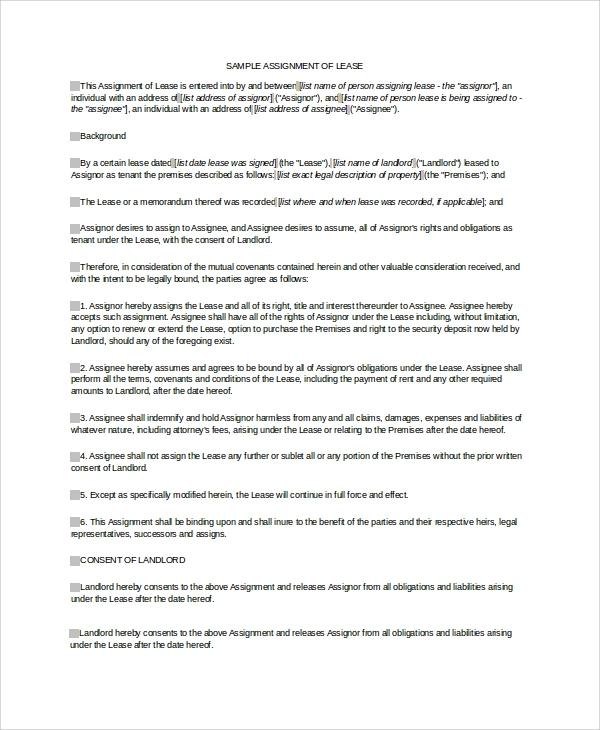 You can also see Assignment Agreement Templates. 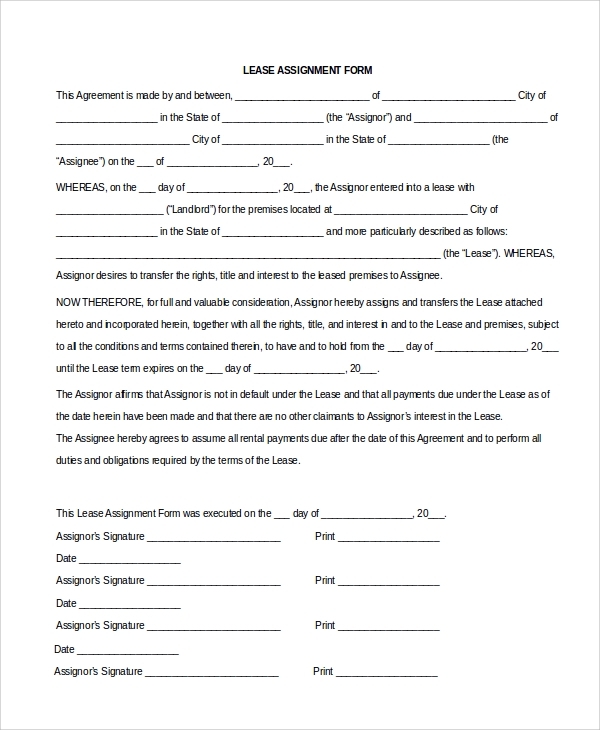 The lease assignment form is a simple and straightforward form, which gives you a ready contract to be filled in with the party details and lease contract details. You will have to gather all information, and sit with the form to gradually fill up, and there you get the lease agreement fully ready in mere minutes or hours. 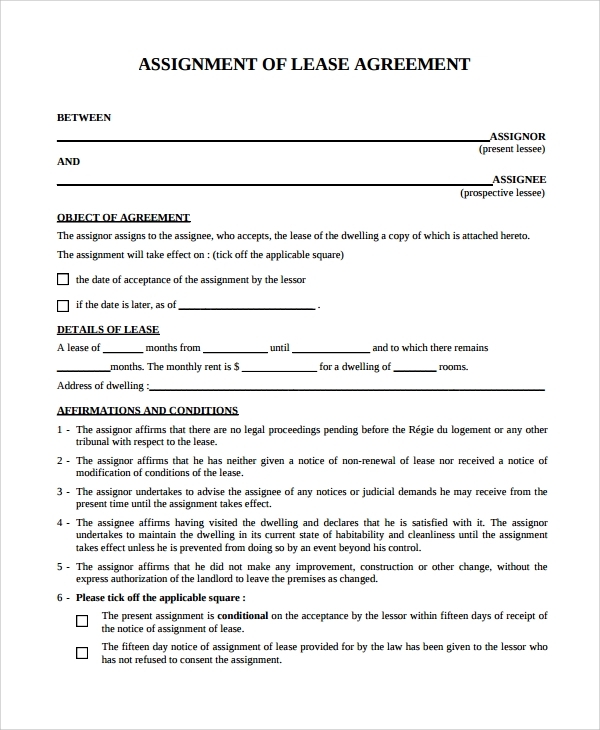 The assignment of a lease agreement is a ready agreement format. You can see and understand, and then frame another agreement from it, or may customize the party details there to get a new agreement. In either case, you get a ready reference, which is legally alright and acceptable and never needs a consultation with a lawyer. You simply need to enact the sample into your writings. 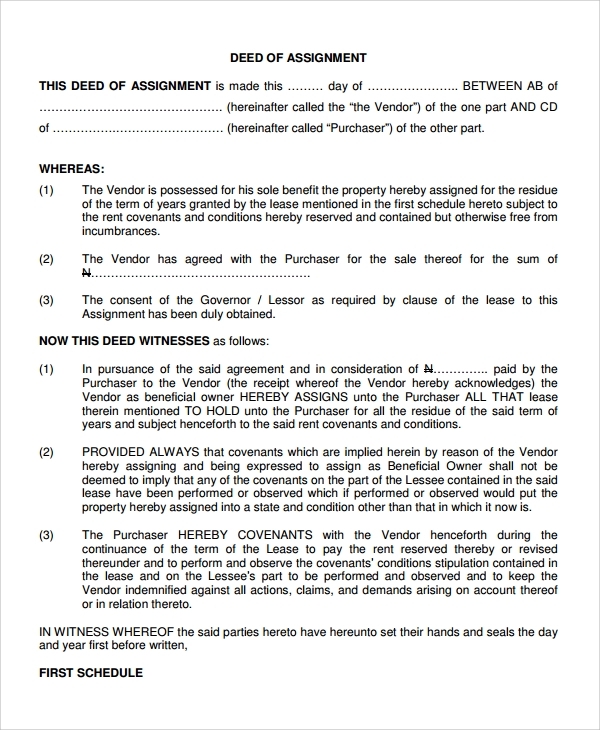 The deed of assignment is the deed format, where you simple add in details of the lease contract the parties, and then write it, or print it on a stamp paper to get the deed ready. It is as simple as that, and your whole case is ready without the intervention of any external source other than the downloaded template. 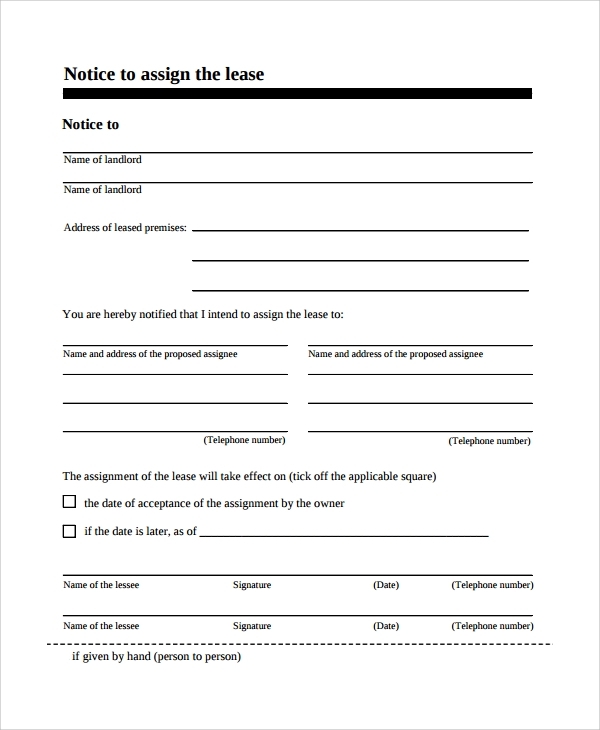 Why You Need the Assignment of Lease Template? Making a lease assignment or lease transfer agreement or contract is one of the most difficult things when you are without any help. You will have to approach a lawyer, tell all details, and get a format from the lawyer which you, or the lawyer on your behalf, will fill up. Later that is registered on a stamp paper. The whole process is quite complicated, and demands a lot of time and investment of money, and also checking, rechecking etc. 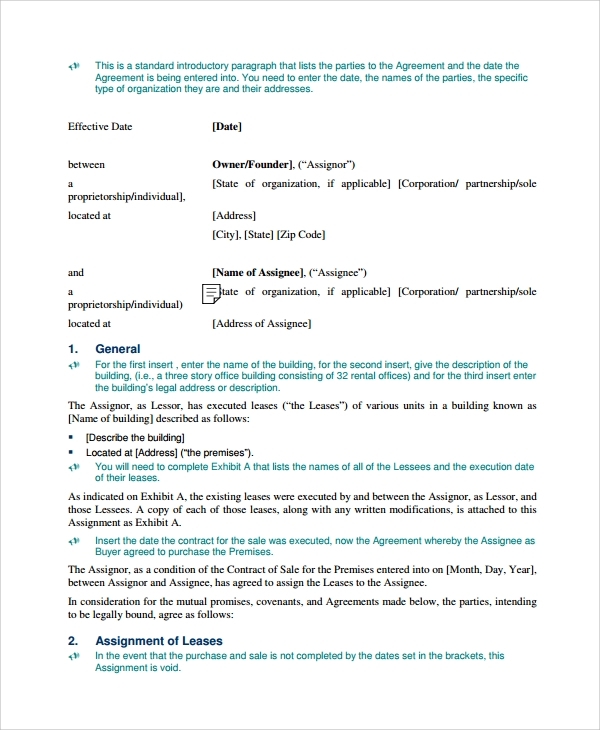 You can also see Lease Agreement Templates. You may not want to wait for so much time, and may want to get this thing done in simplicity and without much investment. Therefore the free route is to get the lease template downloaded and work in the same way as the lawyer would have done. Then get it registered and you are done in short and with accuracy. 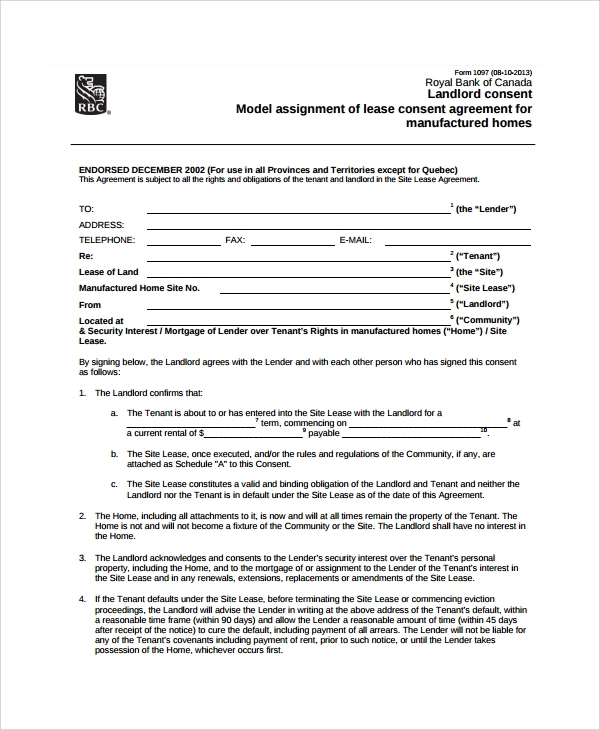 What is the Importance of the Assignment of Lease Template? The importance of the lease assumption template lies in the fact that your lease template can help you avoid many harassments, like unnecessary expenditures, the lawyer fees, the lengthy time and procedures, and lots of how-to and questions. When you are working with a template, these are actually avoided, and the whole work gets simplified. You can then see that your agreement format is accurate naturally, as it would be as these templates are made by legal advisers only, who have a clear understanding of how to prepare the legal documents in a universal format. Altogether the whole job gets sorted when you are working with templates, and only time you would need to shed in money and see a lawyer is when you register the deed or agreement. You can also see Land Lease Agreements. The template usage is quite simple a process and any layman can take the advantage of templates. Templates are best obtained when you know that exactly what form you are looking after, then you may access any good template bank to download. They are available in PDF and Word format both, and these are mostly free. Hence no fees and no time expenses are involved, and you get the format ready, and just need to customize it to get the assignment of lease ready. This is speedy and accurate, and economical. You can also see Car Lease Agreements. One of the best things you can do about making an assignment of lease is that you can seek the help of professionally formulated templates. These templates give you a broad idea and reference of how to fill up the form or deed, and get thus things ready.